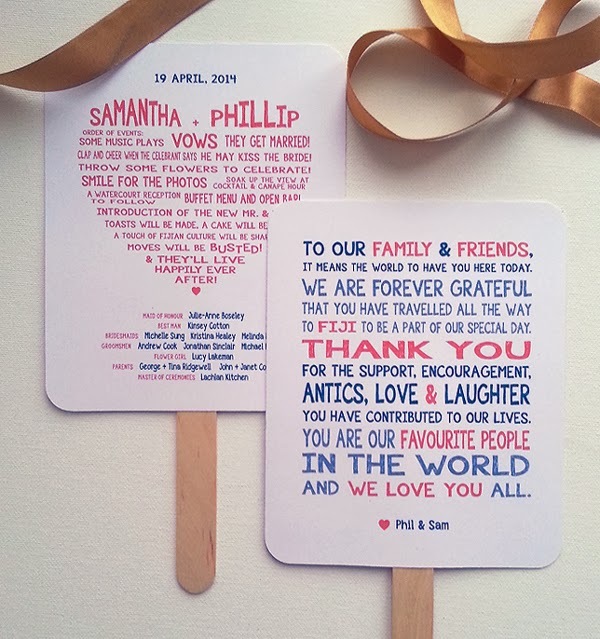 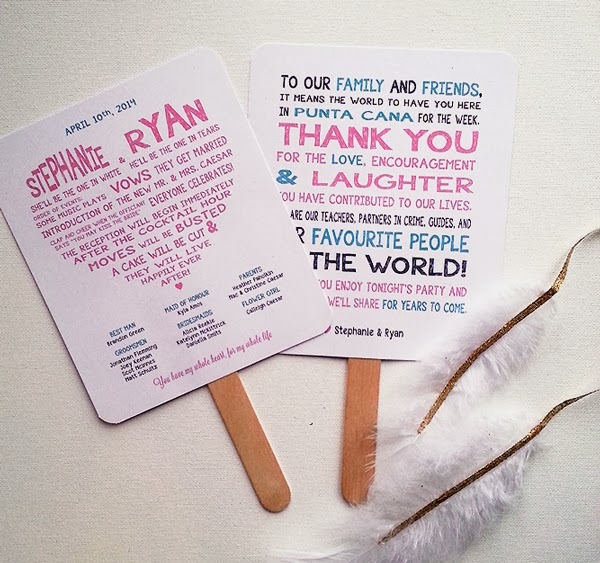 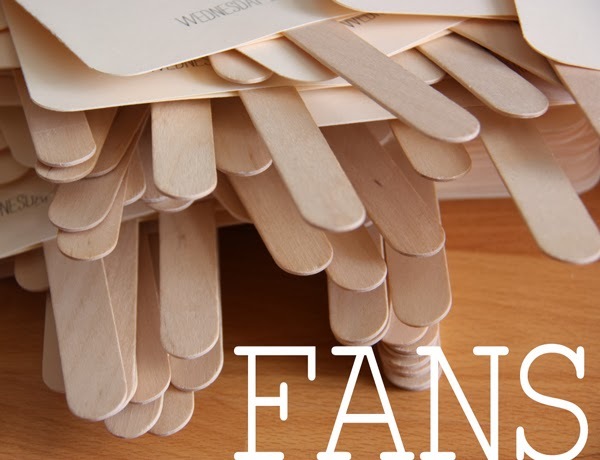 Customized fans for the big day. 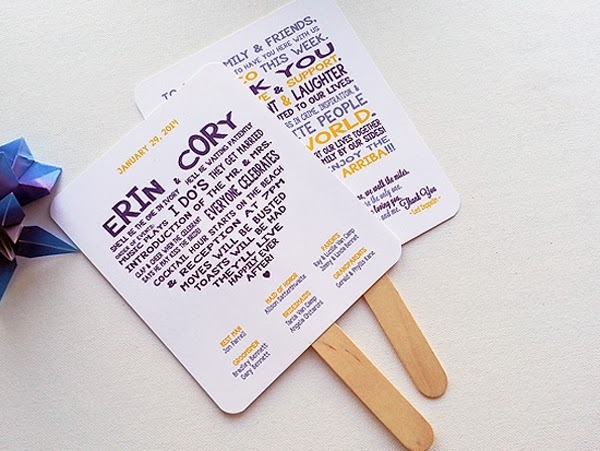 We can put all sorts of fun things to make the ceremony extra special. 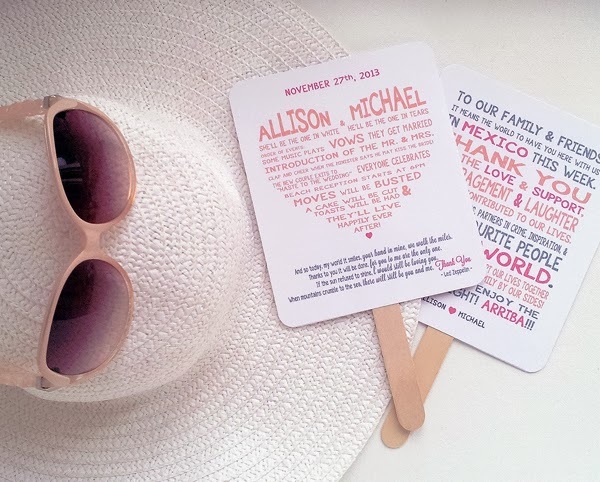 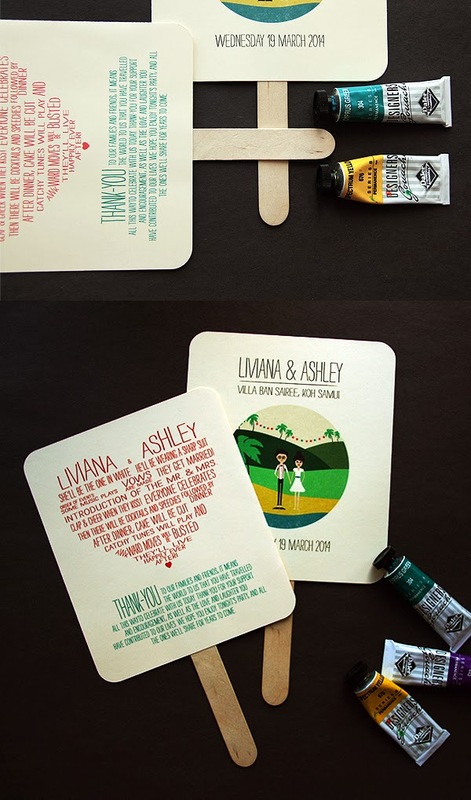 Personalized thank-you message, poem or song lyrics, fun facts about you two, remembrance for loved ones, or shout-outs to your wedding party... you and I can work together to create that perfect combo of sweetness for your guests to read.